a confirmation within 24 hours give us a call at 303-759-1376. After collecting your luggage, locate the Ground Transportation Booth marked as "LIMOS," which is located on baggage claim Level 5, exit through door 506 if on the West side, or door 511 if on the East. Approach the Ground Transportation Booth and inform the attendant that the transportation company you are there for is "A Custom Coach". 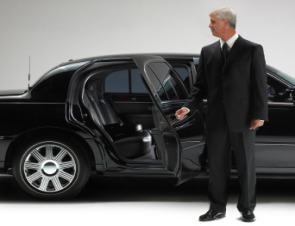 Within minutes your chauffeur will arrive and you can leave the rest to us to get you to your destination. ** If you are attempting to make a reservation in the next 24 hours please contact us to confirm. Your reservation is NOT COMPLETE until you have received a confirmation. If you have not received confirmation within 24 hours give us a call at 303-759-1376.